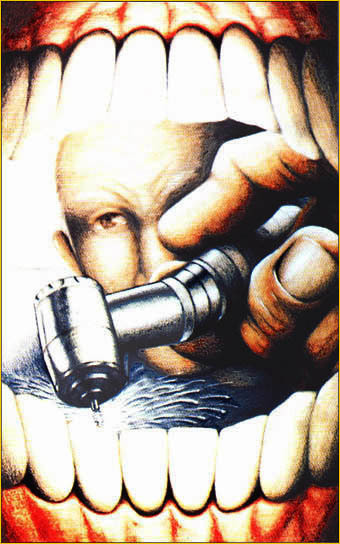 My dentist actually helped me with this illustration. He let me work from an old pair of dentures and his drill and gave me a brief lesson in dentistry. This illustration was chosen for a special NSFIA 100th Anniversary show at the Newark Museum. When I went to pick it up, somebody else had already claimed it as their own, so if anyone ever sees this illustration in somebody elses portfolio, please let me know.